Just before CES, Google announced a new set of partners for Google-TV 2.0. 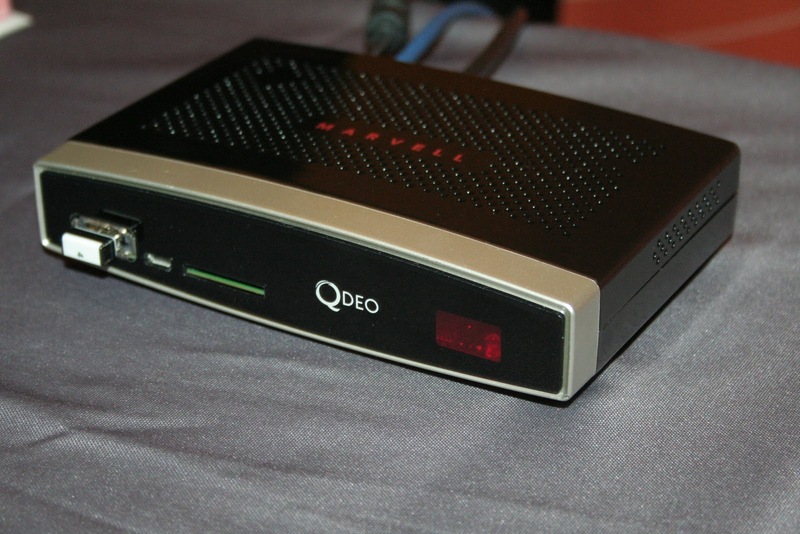 Marvell will be providing chipsets for the platform, and had this set-top box on display at CES Unveiled. 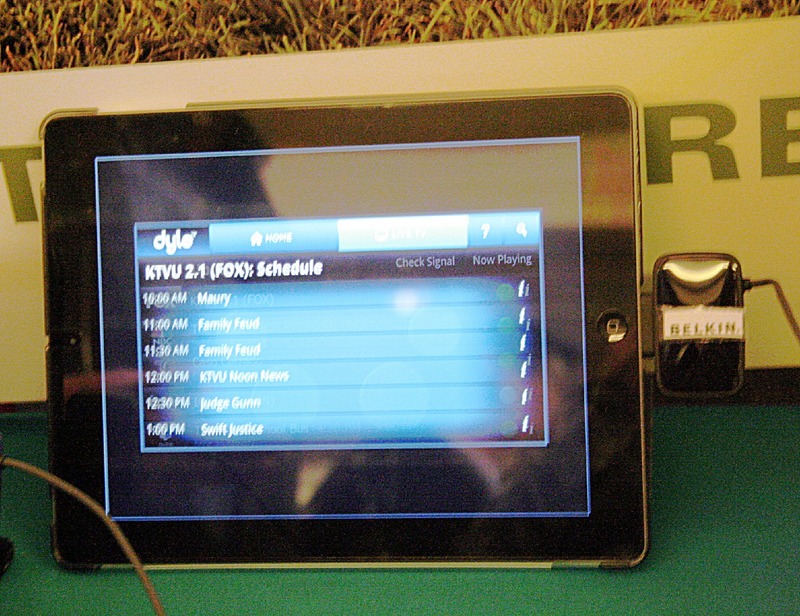 After several years working on a standard for over-the-air local mobile video, the Open Mobile Video Consortium (OMVC) is targeting going live in 32 markets in 2012. 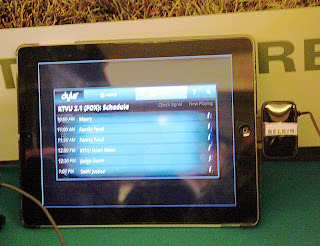 At CES Unveiled, OMVC had several new devices on display for receiving mobile TV, including this module from Belkin that is designed as an add-on for iPhones, iPads, or Android devices. Like the FM radio function in many smartphones, the earbuds act as an antenna for TV reception. 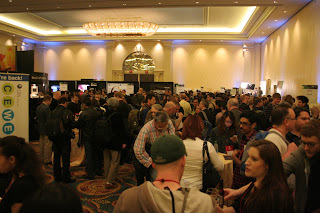 Over at the Palms Hotel, AT&T held a reception for their Developer Summit that will run on Monday. If there was a question for how AT&T would position its just-launched LTE service, after positioning HSPA+ as "4G", it was answered by the marketing hype at the company's "4G LTE Speedway". 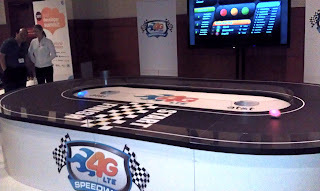 The pitch for developers was that AT&T is the only carrier to have "two layers of 4G", with HSPA+ as a backup when LTE is not available.